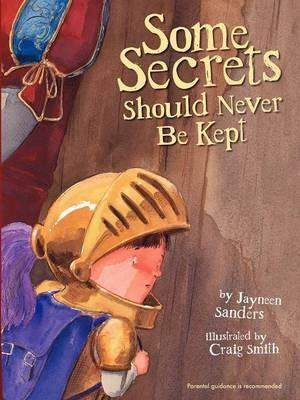 Jayneen Sanders’ picture book Some Secrets Should Never Be Kept tells the story of Sir Alfred, an endearing and brave little knight. Sir Alfred is small and innocent, and conveyed perfectly by illustrator Craig Smith. He comes from a broken family. His mother works hard cleaning Lord Henry’s castle, and after school, Lord Henry offers to look after Sir Alfred while his mother finishes her cleaning. Sir Alfred and Lord Henry have such fun together until one day Lord Henry touches Sir Alfred inappropriately and refuses to stop when Sir Alfred asks him to. Lord Henry warns Sir Alfred that if he tells anyone about their “tickling game” his mother will lose her job and it will be his fault. As the story progresses, Sir Alfred changes. He becomes quiet, introverted, frightened and sick with worry. His attempts to stay away from Lord Henry fail until one evening his mother hears him sobbing in his bed and reminds him that ‘some secrets should NEVER EVER be kept’. Wrapped in the warmth of his mother’s love, Sir Alfred discovers that speaking up and sharing his terrible secret is the right thing to do. This is a difficult story to tell, but an important one. It is a disturbing reality that sexual offenders are more often than not known to their child victims, and, according to Sanders’ website, an astounding one in three girls and one in six boys will be sexually abused before they turn eighteen. An experienced primary school teacher, counsellor, editor, author, publisher and mother, Sanders has recognised the need for resources that assist parents, carers, teachers and child welfare professionals in educating and empowering children to speak up, no matter what. This book includes a useful Note to the Reader and a set of Discussion Questions. It is recommended by the author that it be read to children by a parent or caregiver. Suitable for reading with children from pre-school and beyond and a recommended school library resource.